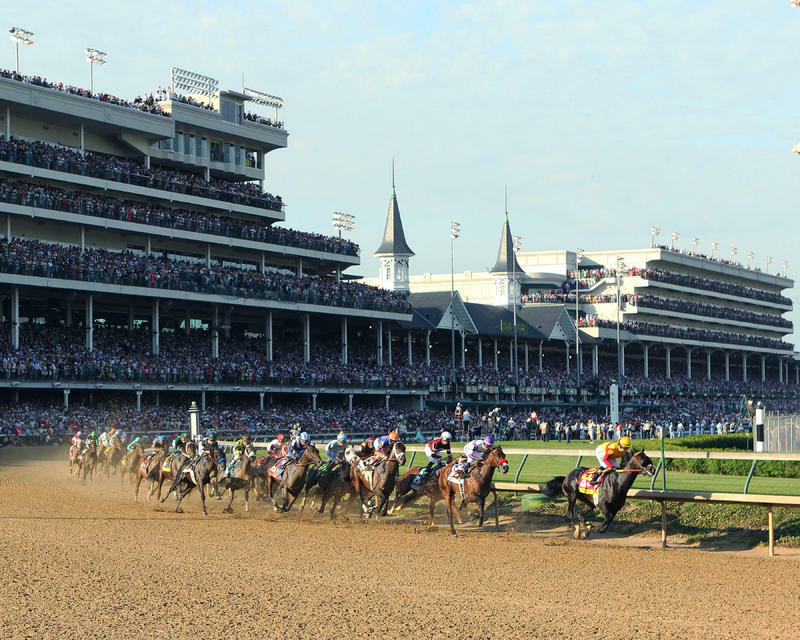 LOUISVILLE, Ky. (Saturday, May 7, 2016) – Reddam Racing’s Nyquist took the lead from Gun Runner in the upper stretch, opened a daylight margin and had more than enough to hold off Exaggerator by 1 1/4 lengths to win the 142nd running of the $2,391,600 Kentucky Derby Presented by Yum! Brands (GI) on a sun-splashed afternoon before a crowd of 167,227, the second-largest in Derby history. 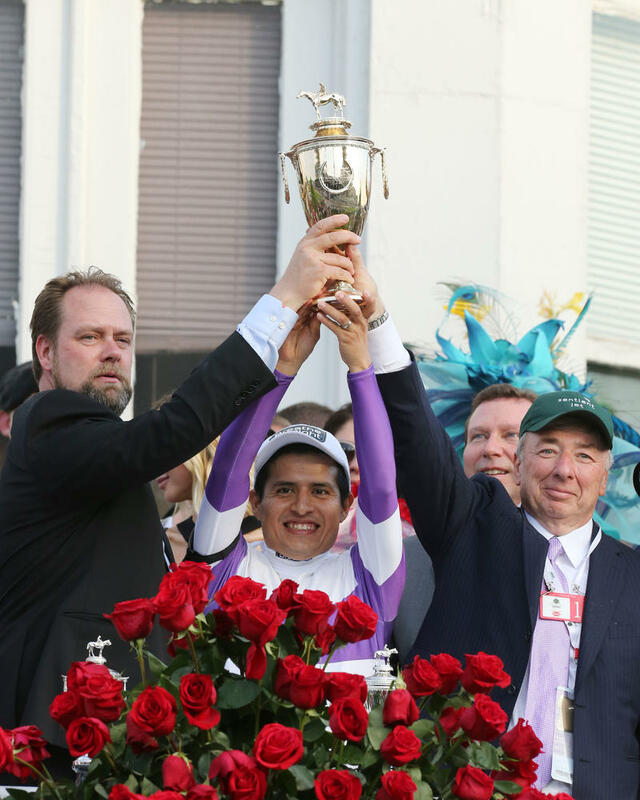 It was the second victory in the Derby for owner Paul Reddam, trainer Doug O’Neill and jockey Mario Gutierrez; the trio that got the roses in 2012 with I’ll Have Another. Gutierrez became the first jockey since Willie Simms to win the Derby twice with his first two mounts. Simms won in 1896 with Ben Brush and in 1898 with Plaudit. Nyquist covered the mile and a quarter on a fast track in 2:01.31, the 13th fastest in race history. He became the 21st 2-year-old champion to come back the following year and win the Kentucky Derby and the second Breeders’ Cup Juvenile (GI) winner to take the roses along with Street Sense nine years ago. Now undefeated in eight career starts, Nyquist is the first undefeated Derby winner with eight victories since Majestic Prince in 1969. Nyquist is a Kentucky-bred son of Uncle Mo out of the Forestry mare Seeking Gabrielle. Now a five-time Grade I winner, Nyquist boosted his earnings to $4,954,200. Danzing Candy led the field of 20 past the finish line the first time with Nyquist and Gun Runner in closest pursuit. Danzing Candy cut out fractions of :22.58, :45.72 and 1:10.40 but on the far turn, the complexion of the race changed. With Gun Runner on the inside and Nyquist on the outside, the two leaders turned for home virtually together with five lengths on the rest of the field. 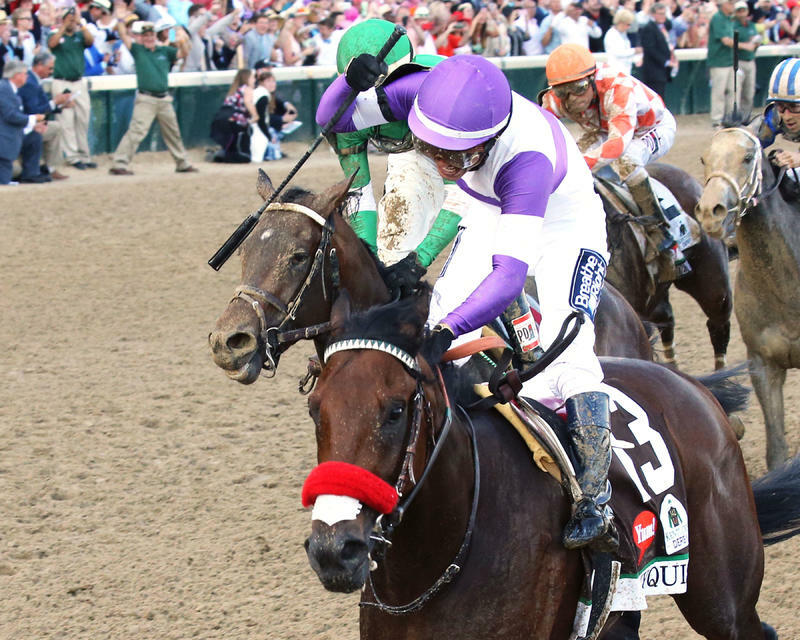 Nyquist opened a 2 ½-length lead at the eighth pole and coasted home as the fourth straight favorite to win the Kentucky Derby. Nyquist returned $6.60, $4.80 and $3.60. Exaggerator, ridden by Kent Desormeaux, returned $5.40 and $4.20 with Gun Runner finishing 3 ¼ lengths back in third under Florent Geroux and returning $6 to show. Mohaymen finished another head back in fourth and was followed in order by Suddenbreakingnews, Destin, Brody’s Cause, Mo Tom, Lani, Mor Spirit, My Man Sam, Tom’s Ready, Creator, Outwork, Danzing Cancy, Trojan Nation, Oscar Nominated, Majesto and Whitmore. Shagaf did not finish.